More then likely going to be used to make the rogue legendary dagger. It can be placed in a gem bag. They said the new Epic gems would be found in a container item. Maybe this is the container? I believe these will be like seething cinders to make the rogue legendary dagger, going to be pretty tough to obtain these most likely. I dont see them using a legendary to give out gems. it's be just some bag of gems like everything else. I will be updating this (as I am my guild's) as I discover new things, and if Blizzard changes the questline again. I'm still working on verifying certain facts, trying to read between the lines and discover new quests and quest items, but everything below appears to fit and be viewable on the PTR. You will notice that most of the links say that the quest or item data has yet to be found. This is because it has not been added to the WoWHead database yet, not because they don't exist. I've gone through them on the PTR, and everything existed in some way shape or form. No there are no stats on the daggers yet, but they do have an item icon on them. The stage one daggers have a name currently, as they were dug out of the quest text: Ominous Razor and Ominous Shanker. My guess is the Shanker is the MH, since Shankers have predominantly been slower daggers so far in this game. I will add a caveat, that these could be placeholders, since they do feel slightly generic for being the beginning of a legendary item. If this gives the Wowhead News team something to go on, then by all means take it and run with it. It would be cool to see you guys (and gals) be able to publish a definitive guide before anyone else. In any case, I will continue to work on adding to this over time. The Charging Decoder Ring lasts 12 hour of /played time for A Hidden Message. You just need 12 hours /played in order for it to fully charge up. Seems like a weird hurdle to have, especially when it can be accomplished by sitting /afk in, say, Silithus, and after you just forked over 10k gold. Need to pickpocket "Hagara the Stormbinder", 4th boss. The pocket refills in 15 minutes, or a reset. Starts and ends at Lord Afrasastrasz (Lord Afrasastrasz) at Wyrmrest Temple inside the Dragon's Soul raid. Go to the Ethereals in SW/Org, charge your decoder ring at Thaumaturge Rafir (http://i.imgur.com/rUlWf.jpg). Then get the Singed Cipher from Corastrasza (Corastrasza) at Vermillion Redoubt. Charging the ring costs 10k gold. You must wait 12 hours /played after paying Rafir for the ring to turn into a Charged Decoder Ring. I would recommend leaving Warcraft open while you do other things, and have your character be /busy in an obscure location. People have used auto keypress programs on the PTR to progress through those 12 hours while they sleep, you are responsible for any risks involved. Just a word of warning. End at Corastrasza, at Vermillion Redoubt in the Twilight Highlands. Lastly, you can move after right clicking the Charged Decoder Ring, it will not cancel the cast. Speak with Mostrasz (Mostrasz) at the Vermillion Redoubt at the entrance under the tree, and fly to Ravenholdt. Talk with Mostrasz once you land. Stealth through Ravenholdt for the egg, it's located in the basement. Talk to Wrathion at Ravenholdt to end it. 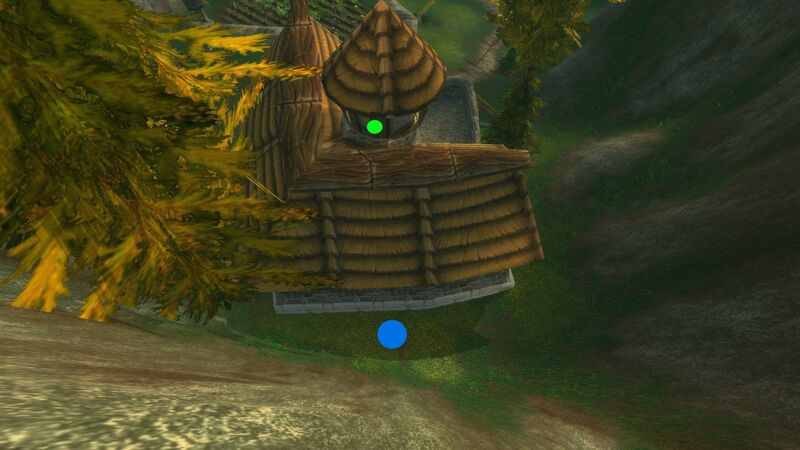 You will gain a somewhat large red circle around you character. It looks similar to: http://i.imgur.com/zxKpL.jpg. This is your safe stealth range, as enemies approach the edge of it, they will become suspicious and look in your direction. They must be either sapped or distracted so you can move past them. Do note that there is a limit to how close you can get to distracted targets. If you can't see the back edge of your "safety zone", then make sure your camera is zoomed out since you can still get attacked from behind. 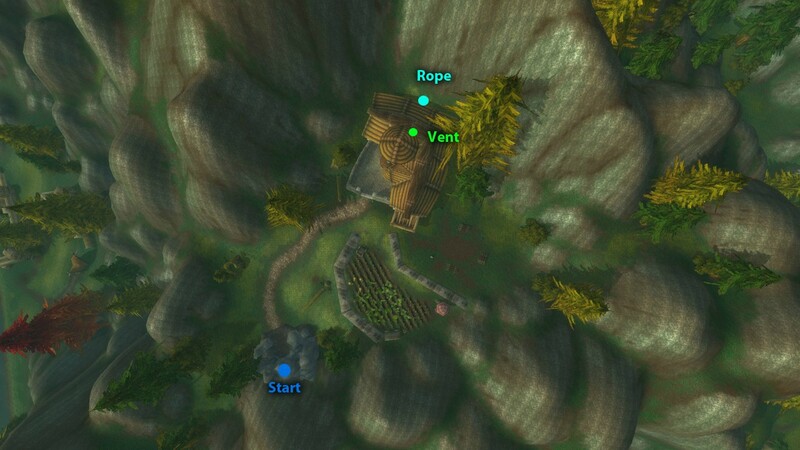 You will need to get behind Ravenholdt Manor (http://i.imgur.com/VI4L8.jpg), climb up onto the roof and then enter at the top of the spire (http://i.imgur.com/W1gS1.jpg). Once inside you will walk down to the second floor, look for a specific mob that pats underneath you, make sure they are at either end of their pat so you don't land near them, distract them if necessary. Quickly fall to the main floor and run under the stairs so you fall into the basement. The easiest way I found was to go counter clockwise around the premises, either along the side of the hills or by going straight up to the building and taking a right. Once you get into the basement, there is a brief cut scene. As of Oct 18th all you see is a placeholder. Wrathion will appear and walk upstairs while talking to you, all the Ravenholdt NPCs are now friendly and you embark on Wrathion's quest by talking to him. You can find him on the north side of the northeast bridge. Find Creed (Lord Hiram Creed - 58.6, 67.6 @Gilneas City) in the middle of the military district and kill him, enter in through Merchant's square and stealth to him, make heavy use of Sap and Distract. Zazzo will pull you out if you're bad at being a ninja. You can avoid the last few mobs by jumping into the stream under the bridge leading into the Military District. Creed has 1,859,760 health, and is a two phase fight. He is susceptible to all forms of CC, incapacitates, snares, stuns, etc. - Consuming Darkness - 1 second cast that spawns an AOE underneath the player that does roughly 9k per tick. 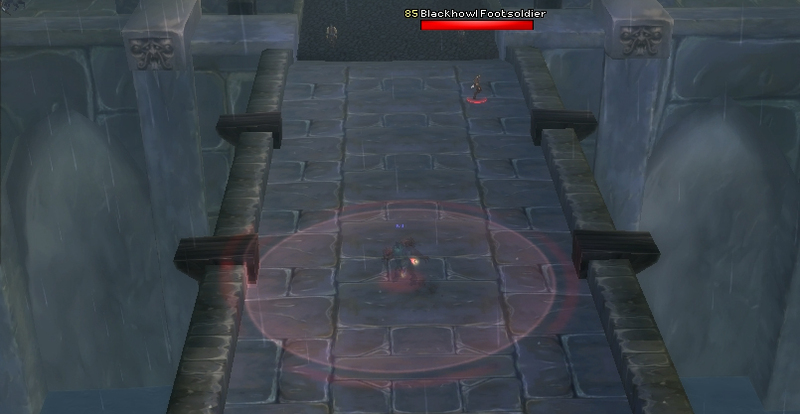 - Blackhowl's Will - 1.5 second cast that hits the target for roughly 20k shadow damage. - Shadow Breath - 1 second cast warm up, 3 second channeled duration that deals shadow damage in front of him. The channeled part of the cast is not affected by Mind Numbing Poison. Return to Wrathion after killing Creed. Wrathion will reward you with the stage 1 daggers. Collect 50 Shadowy Gems from creatures in Dragon Soul. Quest text seems to indicate they will drop from Elementium Gem Clusters, but this seems somewhat odd. 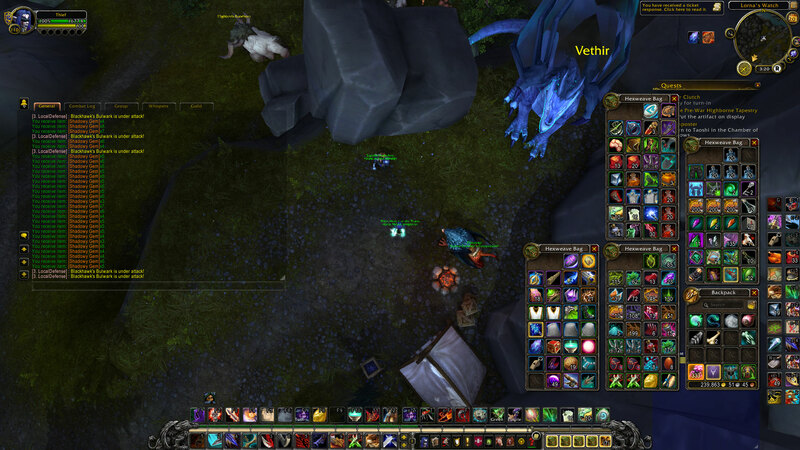 It could be a way to reduce the number of people working on the legendary at the same time if the Rogue is required to go back and loot the same item, albeit tedious. Turn in to Wrathion, in Ravenholdt. 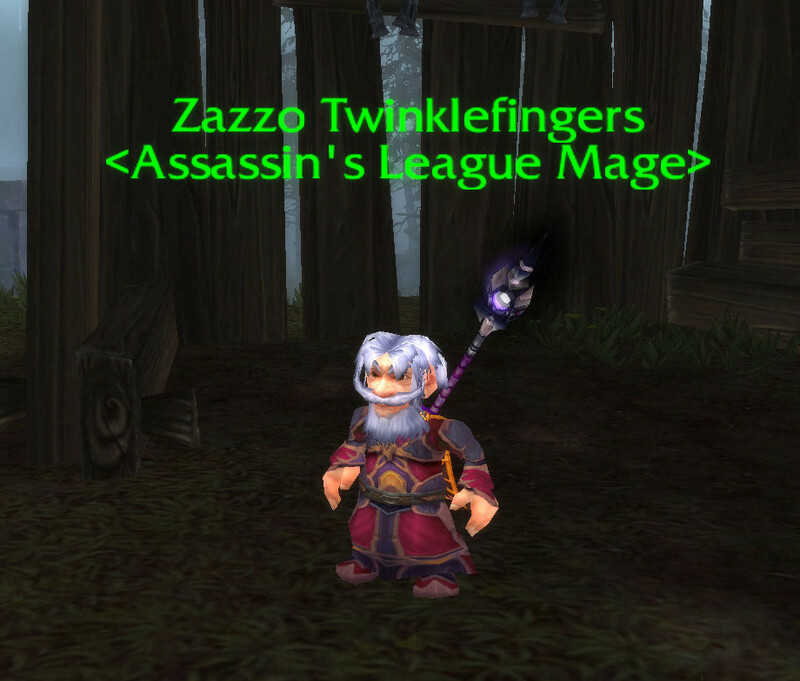 Go to Zazzo, SE of Karazhan. Sneak into the Master's Cellar at Karazhan (Yay! ), and defeat Nalice. It appears that effective use of Stealth and Distract is of the essence for this part. Pick Lock might be used, but who cares. Might need Arcane Storage Devices to beat Nalice, they should be scattered throughout the cellar. Grab a vial for Wrathion off the dead body of Nalice, most likely turned into Zazzo, however. Currently those clusters give 3-9 Shadowy Gems when opened. 10man raid bosses in Dragon Soul will drop 1 cluster and 25man bosses will drop 1-3. Because all you do is paste the same wall of text on every item related to the legendary dagger quest. If you want to be helpful pick the information that is related to the item and not post the same thing everywhere. Not to mention that by now several of those things are now out-dated. I hope they make these like the drops frrom bosses in FL for the legendary staff, so that it is only lootable for those who have the quest. I would hate getting a group with another rogue that rolls on these even though he/she has not reached that part of the quest yet. Like getting them in advance for when you reach that stage in the questline. But I am guessing it will be only lootable for those with the quest, as it works very well in FL atm. Does anyone know if someone on the second leg of the chain and someone on the third leg can both get these clusters, or does only one set drop for the whole raid? Question: The Elementium Gem Clusters are they looted from the boss from every rogue thats on the Quest Cluster Clutch or does the Master-looter decide what rogue will get them? I had a 9 and a 7 drop tonight from Spine of Deathwing, so the full range is there. Doesn't seem 25mans are guaranteed 2 Clusters. Is there any hope that there will be more than 2 available per boss in 25 man heroics? Seems like a fairly long grind. Big disapointment if there's such a small difrence between 10 man and 25man ... whats the point in 25man at all then? You get 1-3 clusters per boss, so let's say 2 clusters average per boss. Each cluster drops 3-9 gems, average 6 gems per cluster. So someone would loot about 12 gems per boss. Each week should give more or less 96 gems average. This means someone would need 4 weeks to complete ( taking into concern also the 48 gems you looted during the 1st week after you killed 4th boss). For extremely lucky players this could take minimum 3 weeks and for extremely unlucky players maximum 2 months. Fair enough time for a legendary, if you ask me. I personally looted 21 gems so far from Ultraxion and Lootship this week, and tomorrow I ll probably kill the remaining 2. What I don't know is whether there is difference in the chance for 25man raids to get more clusters than 10man ones, or heroic raids to get more clusters than normal raids. Please enlighten me in case someone knows about this. Talked to a GM today - he told me that there is a chance to get extra Elementium Gem Cluster in hc mode. As of writing there is NO difference in droprate on Elementium Gem Cluster for heroic or normal. Bosses drop 1 on 10 man and 1-3 on 25 man. This is to allow multiple rogues in 25 man raids to acquire the daggers at a faster pace. Edit: The normal amount of Clusters dropping from bosses on 25 man is 2. However, Multiple sources have now reported that this can vary from 1 to 3 clusters per boss. 2 is still the average amount of clusters dropped from 25 man bosses. In a 10 man raid, it will likely take you 7 runs to get 333. If you have extra Elementium Gem Clusters in your bag *after* collecting your 333 gems, they will remain in your bag after you hand the quest in, so you can use the remaining clusters for Sharpening Your Fangs. It appears after killing bosses tonight that being on the last collection quest with another rogue collecting for tier 2 does not mean two "sets" of clusters drop, we had 2 drop in 25 man, but only one of us can loot. Basically the next rogue cannot collect for tier 2 until the first rogue is completely done. I can confirm that these DO NOT DISAPPEAR when completing the 333 shadowy gems quest. I had 3 excess clusters when I went and turned it in (with clusters in my bank due to low bag space) and went for Nalice. After completing I went back to bank and I still had the clusters along with quest tracker having 3/60 cluster status. Apparently you ARE NOT guaranteed a drop of these EVEN IF there IS a rogue in the group. I wanted to thank you for taking the time to contact us. I apologize about being unable to speak to you directly regarding this matter. However I understand that you did not get an Elemental Gem Cluster from an encounter in Normal Dragon Soul. This is actually something that is working correctly. It is entirely possible to not receive a gem cluster after a boss encounter in this raid even with rogues in the group that are on the quest. I wish you luck next time! If you have further questions or concerns, please select "Need More Help" for further assistance. Otherwise, please select the option to resolve the ticket. Thank you again for contacting us today and I hope you have a wonderful time in Azeroth. As of today I have finished gathering gem clusters. (Unfortunately, our Spine kill left me with 59/60 and got my last cluster + 1 extra from Madness, so i have to reclear ALL of it next week to fnish patricide) I have always without fail gotten exactly 1 from 10 man. I have never run 25 man without a second rogue so I cannot say for sure if having a second rogue affects the drop number at all. Several times, probably 5 or so over the course of both collectino quests, I only got one cluster despite having a second or even third rogue on the quest in raid. I NEVER saw three drop. I can speak only for normal mode, I have not gotten any heroic encounters down yet. For the shadowy gem quest, I usually got 4-6 per cluster, but one time I only got 3, and a couple times I got lucky and hit 8/9, I have never seen more than 9. I'm glad to hear that you can keep extra clusters to use towards the next collection quest, as I'll be finishing my gems in the middle of next week and don't want to have to leave the raid and do quests to keep clusters from going to waste. 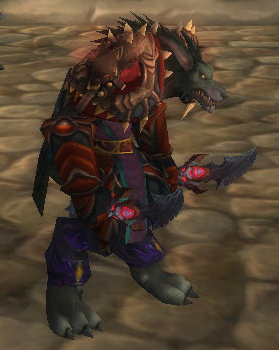 Did Morchok, Warmaster, Yorsahj and Hagara and received zero clusters. I thought this may be something to do with recently faction/server changing and ticketed a GM about it. I'm really sorry to hear about this and I would like to thank you for reporting it to us. We are unaware of any problems associated with this, but the issue will be further investigated with the information you provided. Thought, 'Fair enough. But I would like those clusters regardless', and replied as such. This is actually something that is working correctly. It is entirely possible to not receive a gem cluster after a boss encounter in this raid even with rogues in the group that are on the quest. So, I manage to have the worst luck ever considering people manage to clear 8/8 for months on end and never enter a situation in which a single boss doesn't drop one. 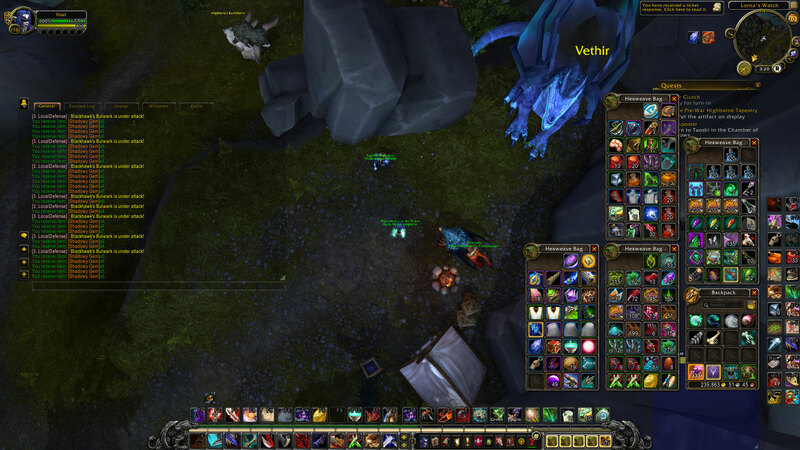 Just killed Morchock as the only rogue and recieved 3 Gem Clusters in 25 man. So I can confirm you don't need multiple rogues for more clusters to drop. It feels like the drop rate on these have been reduced with the last mini-patch. Several friendly raiding guilds on our server are also reporting a similar feeling. We ran 25 heroics this week and we only received 9 clusters total, we had 3 rogues in the raid on stage 3 of the quest chain. Our 1st set on 25 man regulars was receiving 2-3 per boss. Anyone else experiencing/noticing this? So far i've had 1 cluster per boss in 10 man, dropping about 5-7 per. ok so i am on the cluster quest and i can't loot the clusters.... any ideas? The common average of the gems is 6 from each gem cluster, 10 or 25 man. As of now, any extra gems you have DO disappear. I had a few extra and they disappeared after turning in the quest for 333 of them. so your have to kill atleast 111 bosses? because if the lowest chance is 3, then i would assume. If you are on the quest to get 60 gem clusters the tooltip still says: "Use: Open the Elementium Cluster and reveal the shadows within!" but if you try to open it you get an error message saying: "You cannot deconstruct Elementium Gem Clusters while collecting them!" Anyone know if the drop chance for these items is higher for Heroic compared to Normal? I know this is true for firelands legendary parts but can't seem to find much data on Dragon Soul. As of patch 5.2, I ran a DS10 normal raid and couldn't loot any of the Elementium Gem Cluster. I'm on the Cluster Clutch quest and already have 130/333 Shadowy Gems. I even tried looting it in Free for All and Master Loot modes, still no luck. it's my legendary and i need it now! In case you wonder of your rogue's capabilities: I've just soloed this with my rogue, ilvl 528 only, there's 1 must have talent: Leeching Poison. The healing from that is insane high, on bosses it was average 2K hps (with a life pool of 60k). Combat readiness is good too, but not necessary. -Hagara, if you have low gear, like me, then she will go to p2, lightning phase, then you have to survive for 5 minute until her Water Shield goes off. I used CoS on CD, and kept up Feint. With better gear you can just nuke her and ignore this. -Spine, just stay at the center and run left-right until he dies. 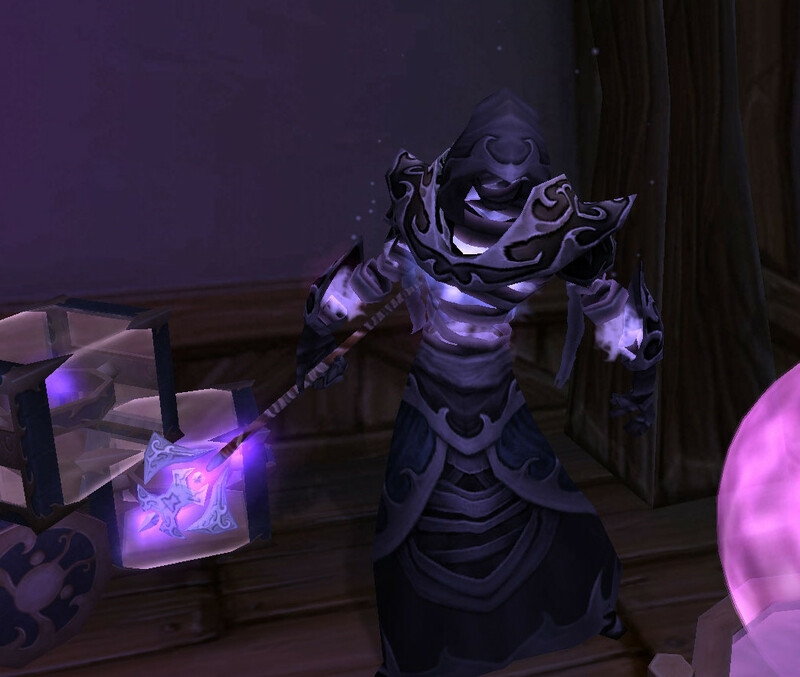 Opening these count towards your guild achievement Master Crafter. Your best bet for farming these is soloing 25man normal since that will always give you 2 clusters as opposed to 10man who'll give you 1 or 25man hc which will also give you 1 for some strange reason. Just opened 61 and got my 333 exactly, equaling about 5.4 clusters each time. However my character is inherently unlucky, so don't get too discouraged. Use: Open the Elementium Cluster and reveal the shadows within!